Having an acoustic guitar wedding will make these special moments even more special! Sometimes it is the basic yet classic things which make the heart skip a beat while time stops as you look into each other’s eyes saying those magical words of forever togetherness. 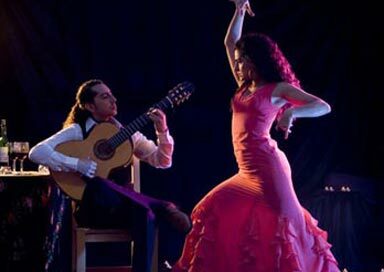 We have been booking wedding guitarists since we began our business as The Classical Guitar Agency back in 1999. Find a Performer’s founder Geoff Robb has played at 100’s of weddings so really understands how it all works. With over 200 wedding guitarists on our website we can really help match you with your perfect guitarist based on finding someone in your local area and the type of music you like. If you need help just give us a call on 01273 944363 and we can make your acoustic guitar wedding a dream come true! So instead of playing a CD during your wedding ceremony why not hire a wedding guitarist for your special day. Recreate magic with your beloved and have your chosen guitarist strum your favourite piece of music as you walk down the aisle. They can then play during the signing of the register and ten for the couple’s exit. 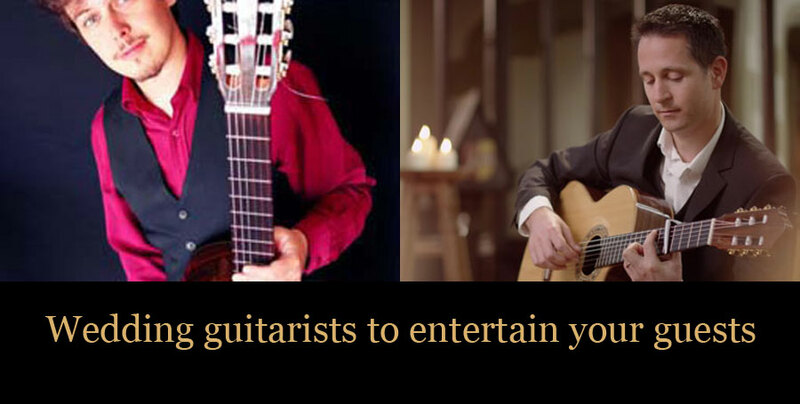 Your guitarist can then play your repertoire of songs during the drinks reception. Your guitarist can play outdoors if the weather is good but may require some shade. All our guitarists will provide their own amplification ad we can provide copies of their Public Liability Insurance if required for your venue.